We are new at SeymourProducts.com, and we have under taken a huge learning curve. It is almost under control. We will be adding hundreds of top-notch products, that will be priced at wholesale. How to set up your own ebook resell website. How to build and market your website from scratch. How to generate traffic to your site. We will be adding courses on WordPress, Yoga, Marketing, more… – all great videos and written courses – but all FREE or resalable! Many free resources along the way (Click the picture below). 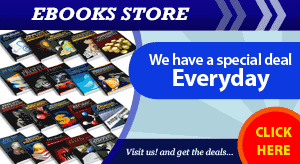 We are changing the way you shop for ebooks and other items. We have speeded up the websites. We haved some terrific new Categories: Niche Blogs for sale & Established Websites for sale. We are refining and perfecting the shopping experience. We are limiting the mailings to once a week for the Blog, and once a week for the ebook site. Now I would like to take a few minutes to ask you WHAT DO YOU THINK? Do you like any of the ideas put forth? Would you like more Freebies? Would you like more installation of website servfices. Would you like more new items? Would you like a review section where we would offer reviews of the products. Would you take the time for surveys? with gifts? without gifts? You can copy these questions and forward them with your answers to larry@seymourproducts.com and I will personally answer any and all of your responses and any new ideas I might have missed.